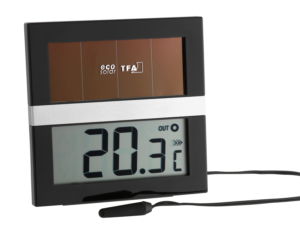 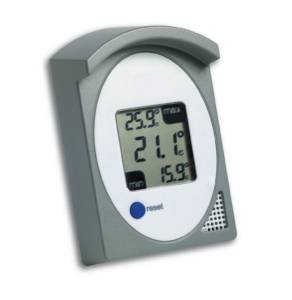 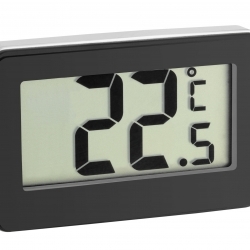 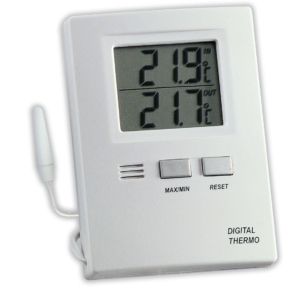 This compact thermometer is ideal for simultaneous measurement of indoor and outdoor temperature. 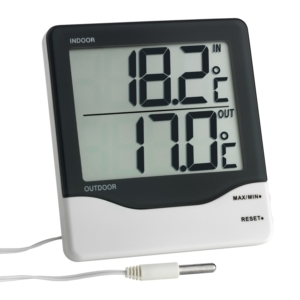 When placed at the window, the sensor cable is simply led outside to measure the outdoor temperature. 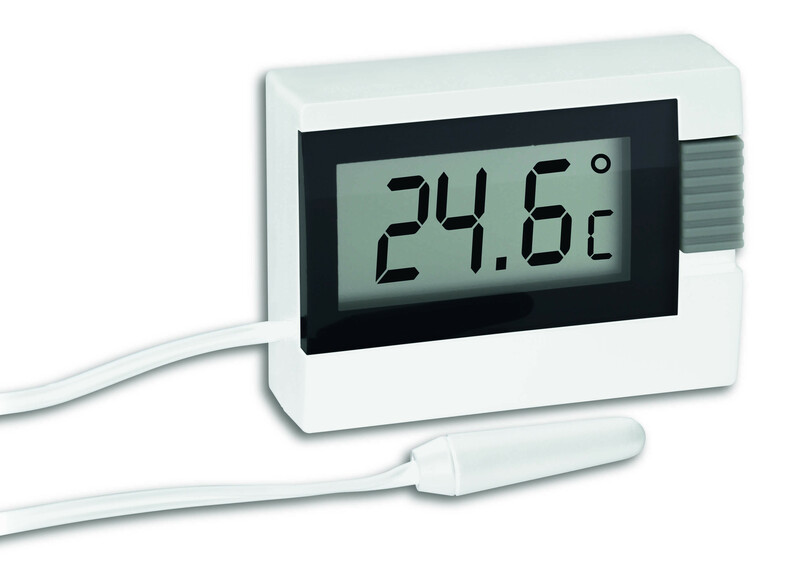 The application possibilities of thermometers with sensor cables are manifold. 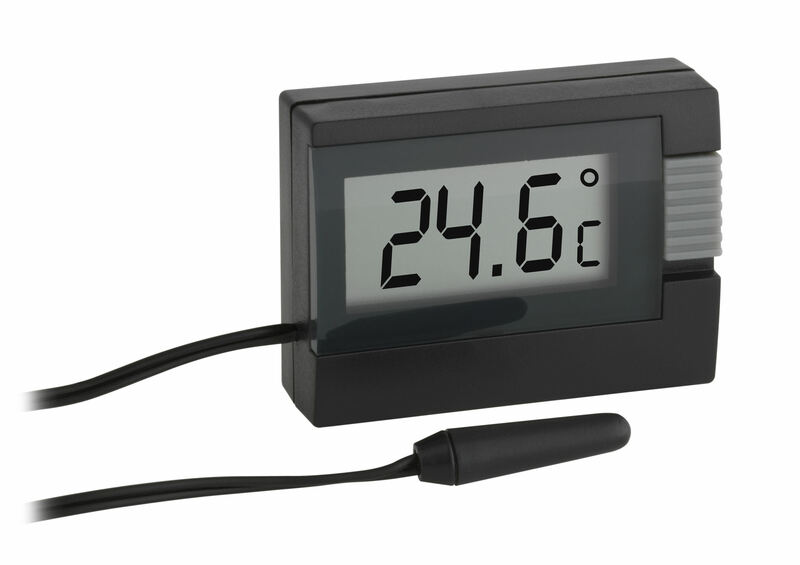 The waterproof probe also allows use in the car, refrigerator or aquarium.